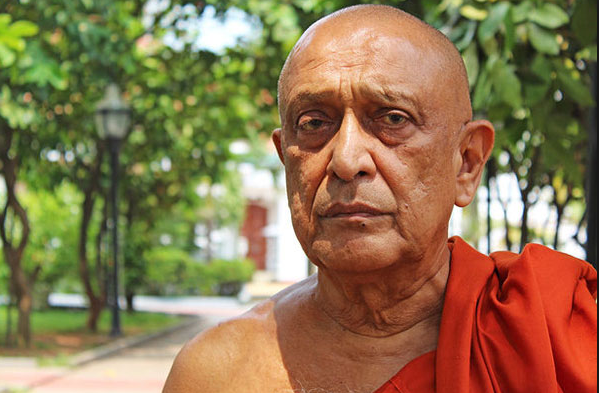 The five-member expert panel appointed to look into the death of Maduluwawe Sobitha Thera concluded there was no necessity to conduct a postmortem into the Thera's death. The final report on their findings was handed over to the Colombo Chief Magistrate Gihan Pilapitiya today. The Chief Magistrate appointed the expert panel after Uduwe Dhammaloka Thera complained to the CID that the death of Maduluwawe Sobitha Thera in Singapore was suspicious. The expert-panel said their findings revealed that there was no reason to conduct a postmortem examination into Maduluwawe Sobitha Thera death, and that the Thera had been ill since 2011. They said there was no evidence to indicate any form of negligence from the Sobith Thera’s management either. The expert-panel also said there was no evidence to support the claim that documents pertaining to Sobitha Thera’s illness were missing, as alleged by Uduwe Dhammaloka Thera. The five-member panel of expert medical practitioners comprised Dr. Anil Jayasinghe, Dr. Ajith Tennekoon, Dr. Kumudini Ranatunga, Dr. Emali Fernando, Dr. Iresh Wijemanne and Dr. Ishara Pavilage.